Winter Weather in Mauritius. . . Many tourists, mostly those coming form northern Europe and Canada, wonder why the winter weather in Mauritius is not that cold. If summer is hot and sticky, winter is generally more pleasant with milder temperature. Yup, you won’t find gorgeous snow-capped mountains. We enjoy a tropical climate and the temperature doesn’t drop that low. A dazzling mid-winter sunrise near Belle Mare beach. . . The highlands, as compared to the coastal regions, will experience the lowest one - about 15 degrees Celsius. And many locals will whine that it’s cold as if we are in icy Alaska. The point is that it’s a good seasonal reason to be in fashion with trendy European-style winter wear. 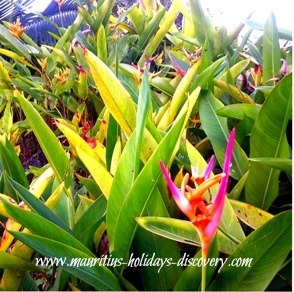 Frequent drizzle and cold breezes during winter make Mauritius greener and more florid. At times it can be really windy, especially on the high grounds and the south coast. If in summer we have cyclone, in winter we get anticyclone. But anticyclones are not as devastating as tropical storms. An anticyclone is an area of high atmospheric and outward blowing wind in a counter–clockwise direction. The weather will be generally cool with drier air and clearer skies. Things worsen when a cold front crosses over Mauritius. You can expect a sudden drop in temperature with chilly intermittent rain showers and a swelling of winds blowing from the southeast coast. But you need not panic. This type of weather is short-lived and that’s as bad as it get! You’ll still be able to have that perfect suntan and as it is low season in Mauritius during winter you can have a large span of the stunning beaches just for yourself on top of the drop in hotel accommodation rates. Fewer mosquitoes will be “playing fiddle in your ears”, as we use to say here when these flies irritatingly buzz around during your sleep. If you like water sports, Le Morne and Anse la Raie are top-notch spots for kite surfing due to the strengthening of winds in winter. Kite surfing in winter at Le Morne Brabant. . . The table below shows the mean minimum temperature, in degrees Celsius, during winter season.